We’ve spoken more than once on this blog about the power of recruitment marketing automation. And, indeed, by streamlining the process of purchasing, constructing, and targeting ads across various web channels—not to mention automatically tracking clicks, forms filled out, and applications submitted—automation processes can help businesses save time and money. At the same time, we understand that these things can be daunting, and it can sometimes be difficult to get a handle on how best to approach automation technology in a way that aligns with your recruiting goals. Luckily, we’ve got a list of best practices that you can employ as you get started with recruitment marketing automation. Like we said above, your candidate personas should drive your choice of channels—but the beauty of marketing automation is that it makes the use of multiple marketing and advertising channels easier than ever. 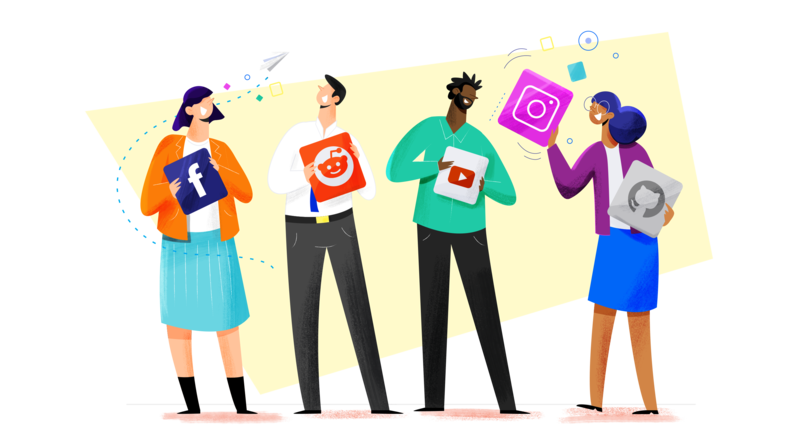 We recommend taking advantage of this newfound ease by deploying your employer branding across a variety of different social media sites and other web venues that integrate with your automation solution. For instance, if you’re hiring web developers, you might try to spread your message on Reddit and Stack Overflow, both of which boast robust communities of technical passive job candidates. With this kind of multi-pronged approach, you can begin to discern the strengths of weaknesses of various messages on various channels, so that you can refine your approach to candidate attraction as you go. This is another area where the principals behind traditional marketing automation really come in handy for recruiters. Just as traditional marketers use automated e-mail flows and careful audience segmentation to guide their prospects through the buyer’s journey in a way that feels valuable and rewarding (rather than cumbersome or irritating), recruiters can use these new tools at their disposal to create a recruitment funnel that prioritizes giving applicants a positive experience at every stage. This means that each ad or post that you schedule should contain a clear call-to-action, which should lead them to a simple, easy-to-navigate landing page. If your ad is trying to drive up applications to a particular open position at your company, make sure that any links take the user to a landing page specific to that job, where they can easily gain whatever information about the position they need and fill out a (short, streamlined) online application. If, conversely, you’re simply working to improve your employer brand, your call-to-action might lead users to a newsletter sign-up or an eBook. In either case, it should be obvious what step the user should take next. This way, you prevent potential applicants from dropping out of your recruitment funnel prematurely. We alluded to this one pretty heavily in the section above, but we’re not afraid to make things a little more explicit: at any given time, 80% of potential candidates are not actively job seeking. This doesn't mean that they can’t be convinced to enter your recruitment pipeline (and, in fact, many of them will be eager to do so if your employer brand appeals to them), but it does mean that they can’t be reached via traditional methods like posting on job boards. This is where marketing automation comes in. Yes, it can be helpful for attracting active candidates when you have particular positions that need filling—but it also makes it easier than ever to undertake the kind of continuous branding efforts that help to grow your employer brand over time. Setting up a social media campaign to fill one particular position might not seem like enough of a hassle to warrant the adoption of an entire automation workflow, but turning passive candidates into applicants is, above all, a process of making first, second, third, and fourth impressions, retelling the story of your employer brand with each piece of content. Thus, having to devise and implement new campaigns on a more or less constant basis (starting from scratch each time) can become prohibitively difficult. Automation has the power to alleviate that difficulty, and the most successful recruitment marketers are the ones who let it. Okay, let’s say you’ve been following all of these best practices, and you think you’ve gained some traction with your employer brand. How do you determine whether you’re right and whether you've been investing your time and money wisely? Simple: track your ROI using the KPIs that are most important to your business. Whatever marketing automation software you’re using ought to be able to provide you with data on impressions, clicks, applications, and a host of other metrics for whatever campaigns you run, and you can combine this information with your budget specifics to determine how much you’re paying for each click, application, or hire. In this way, you can determine whether or not you’re using your resources to their maximum advantage, or if you could be tweaking certain aspects of your recruitment funnel. This way, you're constantly improving and perfecting your overall recruitment efforts.